Sammy is an active, curious, playful kitten! He and his siblings were born to a very young mom and living in a pretty rough situation. When they came to Lost Dog & Cat Rescue Foundtion we found out the mom was already pregnant again. Her kittens are all so sweet and have all really blossomed in the short time they have been with LDCRF. 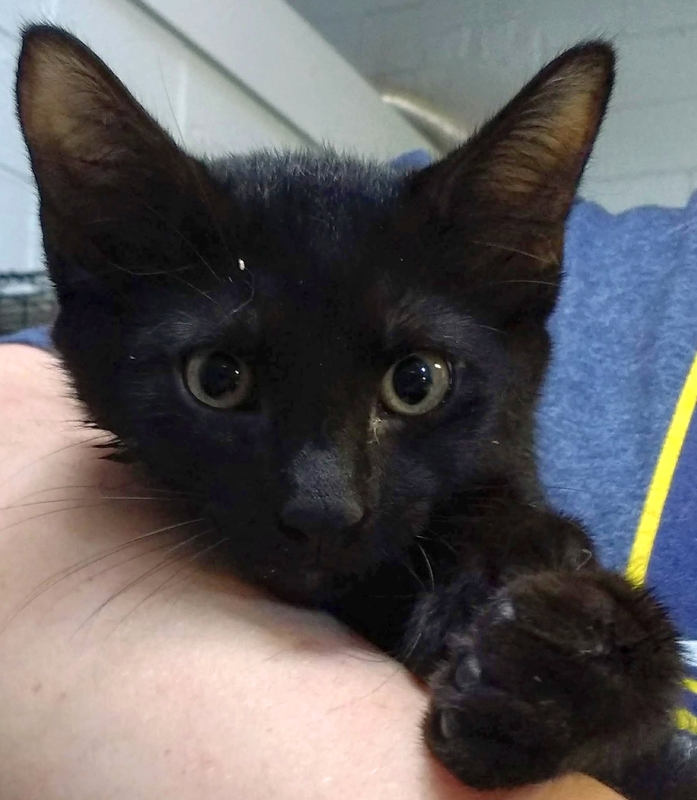 Although an animal companion is not required, Sammy would love to be adopted with another kitten or to a home with a playful, friendly young cat or dog companion. Estimated date of birth: 7/16/18. For more information or to meet Sammy, please email cats@lostdogrescue.org or call (703)295-DOGS.